It’s been rumored for years, and now it is confirmed. 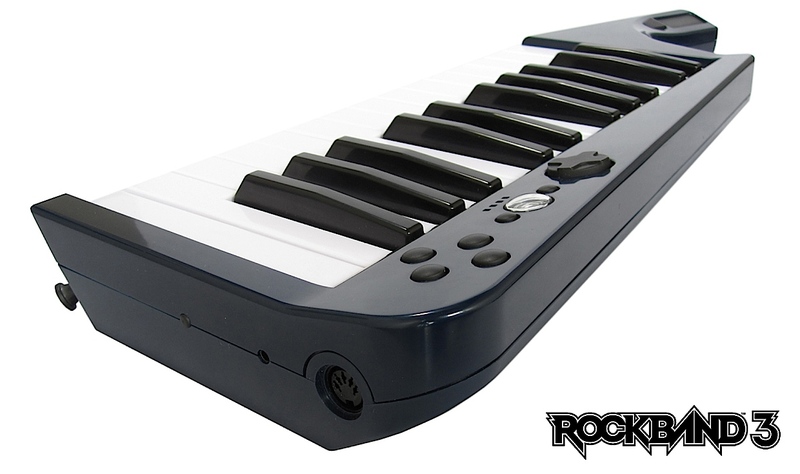 Rock Band 3 will have a real keyboard/ keytar, and guitar. The keyboard has 25 keys, and spans two octaves. 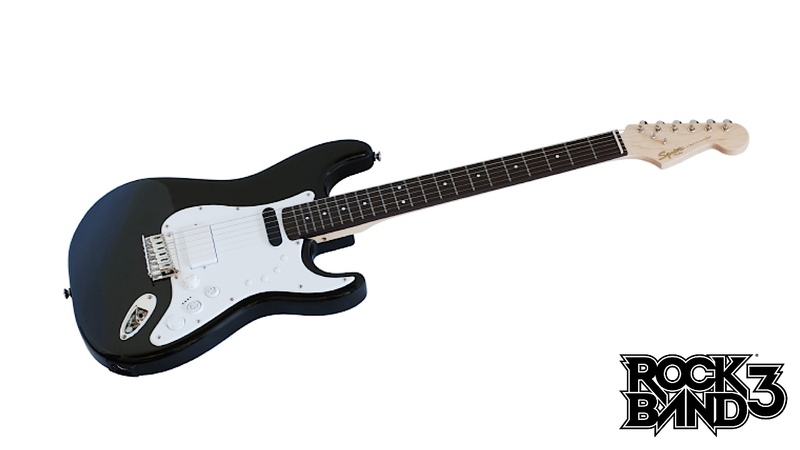 The guitar allegedly has strings, and there is a Fender Strat Squire controller that is a real, albeit inexpensive guitar. Details are sparse with regards to the guitar/ game interface, so more to come. Please direct your keyboard related curiosity toward the video. Images and details found by way of Joystiq.